Plug In ICA is accepting applications for a summer session on Indigenous Architectures led by Norwegian- Sámi artist/architect, Joar Nango. Image submitted by artist. Plug In Institute of Contemporary Art is now accepting applications for its 2019 Summer Institutes. The Summer Institute is an international post-graduate artist research program for professional artists and thinkers working in all disciplines and media, including architecture. One of the summer’s two sessions will be facilitated by Norwegian- Sámi artist/architect Joar Nango for an intensive session focused on Indigenous architectures. The session runs from August 6th until August 16th. Applications are due Monday, March 25. Foregrounding Indigenous approaches to design and alternative models of social space, Nango will lead participants through a series of texts, discussions, guest lectures, workshops, and studio time for the first week, engaging local, Winnipeg-based, Indigenous architects and thinkers. 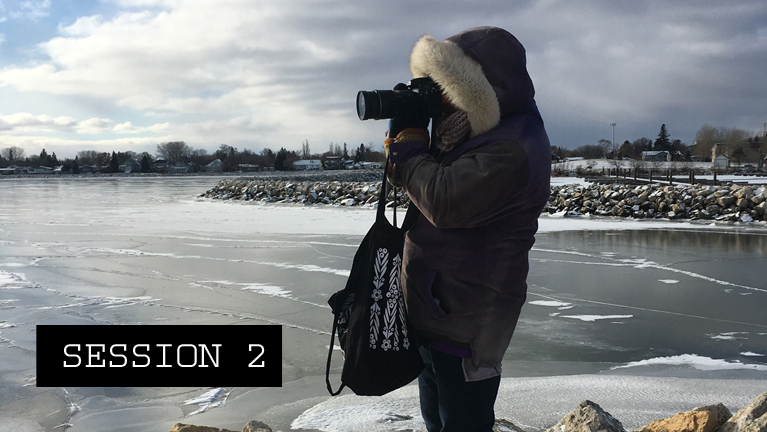 Participants will be encouraged to produce individually, with the possibility to work with Nango on a new piece by the Winnipeg Rivers, generating a reciprocal engagement to producing work in the second week. The seminar and workshop is open to visual artists of all kinds as well as writers, critics and scholars. A number of other visiting artists, curators and theorists will visit the Summer Institute for additional lectures, discussions, and studio visits still to be determined. Plug In ICA invites applications for participants who will work collaboratively in a peer-to-peer environment based upon their own interests and projects, as well as by exploring and aligning their work with collaborative or group activities which will be planned during the session. This critical discursive opportunity will take place in Plug In ICA’s purpose-built facilities, with an adjoining workshop, art research library, gallery, bookshop and café. Plug In ICA is located at the heart of downtown Winnipeg and adjacent to the Winnipeg Art Gallery within walking distance to various amenities for new visitors to the city. There is no application fee for this program and everyone is welcome to apply. The standard tuition fee of $300.00 CDN has been generously covered by Winnipeg’s Johnston Group. All other costs associated with participating in this program are the responsibility of the participant: meals, accommodation, travel, travel insurance, materials and related production costs. Participants must also be Plug In ICA members in good standing, for an additional fee of $35 CDN (artist members). Applicants will be notified of their acceptance by the end of April 2019. Joar Nango is an architect, builder, artist and self-publisher. Nango’s work often explores the division between design, architecture and visual art and uses improvisation as method and process. Nango has been part of a number of exhibition projects throughout Canada and elsewhere. Among which includes, the Ottawa Art Gallery, Vancouver’s Western Front, Gallery Deluxe in Halifax, The National Museum of Art, Architecture and Design in Oslo, Norway and Sydhavn Station in Copenhagen, Denmark. He recently presented European Everything at Documenta14 in Athens and Kassel in 2017. As well as facilitating the Summer Institute, Nango is one of the participating artists for the 2019 iteration of Winnipeg’s public art project STAGES.